The University of York (UoY) is one of the top UK universities for research, member of the Worldwide Universities Network, a worldwide alliance of 15 research-led universities, and of the Russell Group, which represents 24 leading UK research focus universities with an outstanding teaching and learning experience and unrivalled links with business and the public sector. 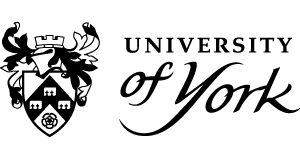 In 2016, York was ranked 131st in the World University rankings (Times Higher Education). The University of York effort will be led by Dr. Corrado Topi who leads the Green Economics Research Group at the Stockholm Environment Institute. The Stockholm Environment Institute (SEI) ranks the 2nd most influential think tank in the world in the environment and development sector and its staff has been co-recipient of the Nobel Peace Prize 2007. SEI´s mission is ‘to support decision- making and induce change towards sustainable development around the world by providing integrative knowledge that bridges science and policy in the field of environment and development’. Beyond York, and as of 2016, SEI has centres in Africa, Asia, Europe and the U.S. The York centre of SEI is the second largest and includes the Green Economics Research Group, which works with city level decision makers and policy makers all over the world to develop ecological economics models and decision support tools to support the development of a sustainable and resilient economy at local level, in particular researching on mechanisms and tools for SMEs and local authorities to adopt green economy principles and business models.